After fuming a couple of weeks ago about exhibition red tape, in the end I meekly surrendered, filled in the forms and sent the books off. The exhibition, Cover to Cover, opened last Thursday at Bribie Island Seaside Museum and runs until early December. Hopefully my two books arrived safely. I've written elsewhere about the first of these (41: It's beginning to hurt) and included a photo of the second (Cartographica) in an earlier post. The photo above is a detail of this latter work. 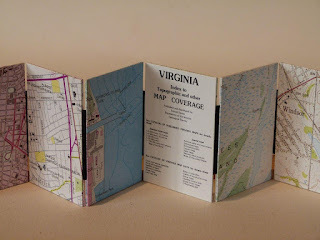 Cartographica grew from a realisation that paper maps are fast disappearing, with the information they contain either being lost or made available only in digital form. 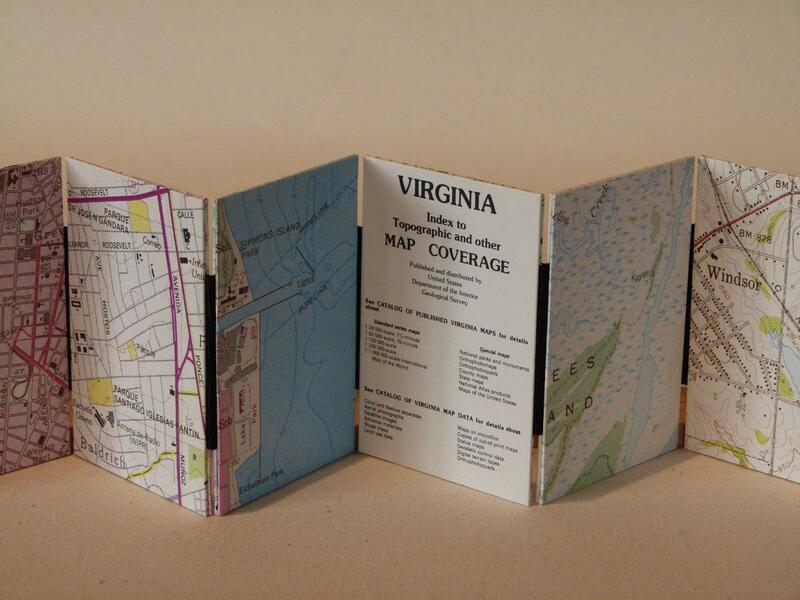 The work is a concertina binding, consisting of 162 fragments of maps and charts, arranged in random sequence. At just over four metres in length, it is the 'longest' book I have produced to date. It was great fun to make and I've since fantasised about what it would be like to make a concertina binding with a length of, say, 20 metres or even 50 metres. Perhaps a project for a community workshop?